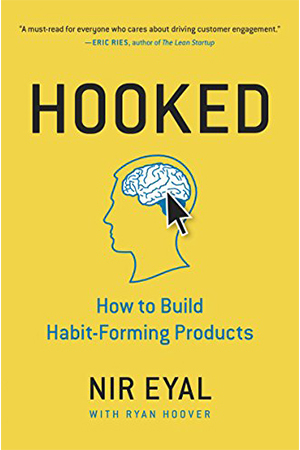 Eyal’s focus in this book is the Hooked Model, which is a four-step process (Trigger, Action, Variable Reward, and Investment) for how to create a product that builds a habit. We read this book with a purely self-serving intent; Thrivner is creating an app that will build good habits for users. There is a fine line inherent in the habit loop in that habits can be either good or bad, and Eyal makes it very clear throughout the book that developers must always maintain a level of awareness and responsibility for their product and how it may affect users (which we fully intend to do). While Hooked focuses on Eyal’s model and what drives people to use certain apps, our conversation drifted into what apps we use individually, and how we use them. Questions such as, “What apps do you use daily?” and “What’s on your home screen?” were asked of everyone, and we discussed what drove us to these apps. This segue provided us with an interesting look at how we each use apps, and whether we are more driven by internal or external triggers. Additionally, we examined how we felt about being triggered and the ways often-used software has evolved their triggering over time to encourage more and more engagement. Eyal’s Hooked Model provides developers with a tried-and-true path to developing a successful, habit-forming product. Our developers will maintain a high level awareness about how our products are used; we will not cause harm to our users. After all, while we each place a different value on the apps we keep on our home screens, we are all hooked on using them. Eyal, Nir. 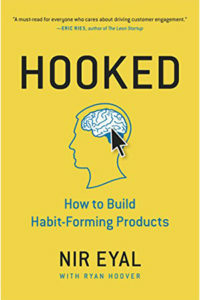 Hooked: How to build habit-forming products. Penguin, 2014.